Perhaps more than you realized, other homeowners in your neighborhood can influence whether or not you achieve the highest possible sale price for your home. Be Considerate. Let your neighbors know if and when you are planning to host an open house, as their on-street parking or driveway access could be affected. Give them plenty of lead time, so they can plan accordingly. One peace-making idea is to invite your neighbors for a private pre-showing. Who knows? By request or their own election, they might choose to get the word out on your behalf, whether through social media channels or via old-fashioned gossip. 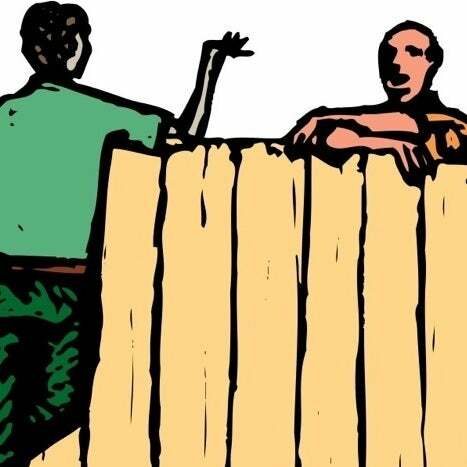 Consult your neighbors before you begin any pre-sale prep work, especially if that work is to be done on your home’s exterior. Try to minimize any negative effect your home improvement might have on those living nearby. Your porch needs some repair? Schedule the carpenter to come midday during the workweek, when your neighbors are least likely to be enjoying their own outdoor living space. As you set out to sell, the last thing you need is fresh resentment emerging. Be on the Same Page. Potential buyers may poll your neighbors about touchy topics like the local flood history. It’s smart to inform your neighbors about how you are handling such questions. If you have fixed notorious problems known to your neighborhood, take care to bring everyone up to speed on your home’s current condition. Neighbors may need to be reminded of the investment you’ve put into the place, especially if it has a troubled history (e.g., foreclosure). Share your pricing rationale with neighbors, and if appropriate, reveal the details of your appraisal. After all, even your most entrenched neighbors will sell their respective homes one day, and that means they are likely to be curious. Since your asking price and sale price will be a matter of public record eventually, there’s no advantage to playing coy. Last but not least—assuming you can find a sensitive way to broach the subject—consider offering to pay for services, such as dog walking or landscaping, that would offset the effect of your neighbors on the appearance of your own property.